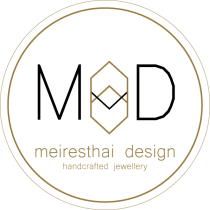 A Toronto based jewellery blog by jan+jo of meiresthai design. Follow us on our journey creating handmade jewellery. Well it’s the final countdown!!! This weekend September 13-14 we’ll be selling our beautiful pieces at the Queen West Art Crawl at Trinity Bellwoods park. So if you’re enjoying the last warm days before the fall drop by the show.